If you’re visiting Melbourne, the city itself will keep you busy, but it would be a shame if you missed out on some of the attractions just outside the city that can easily be seen in a day. These 5 best day trips from Melbourne were chosen because they can be reached by public transportation or by arrangement with a tour agency and get you back to your Melbourne in plenty of time to rest up for your next day’s activities. 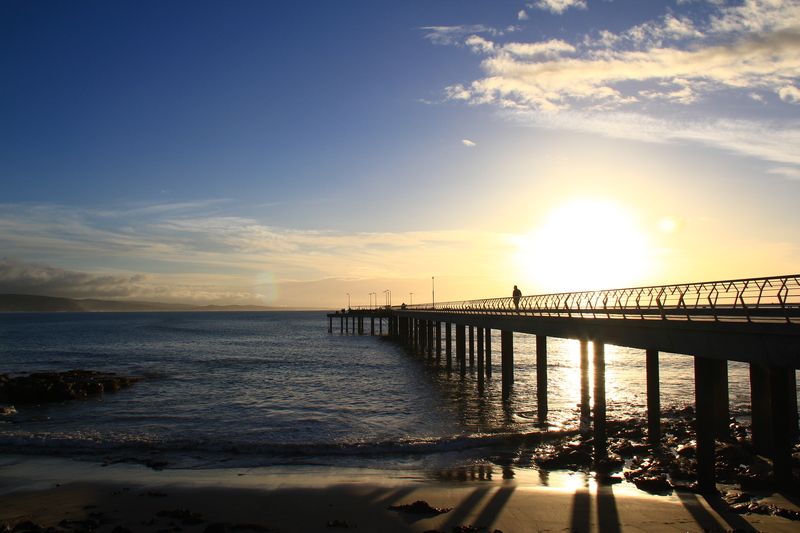 Phillip Island is only fifth on our list not because it is the least interesting day trip from Melbourne, but because it is 140 miles away from Melbourne, so is the greatest distance you will have to travel and still make it back to your Melbourne accommodation in time for dinner. You may want to have your evening meal on the island, though, because one of Phillip Island’s biggest attractions, the Penguin Parade, starts at 9pm at the Phillip Island Nature Parks. 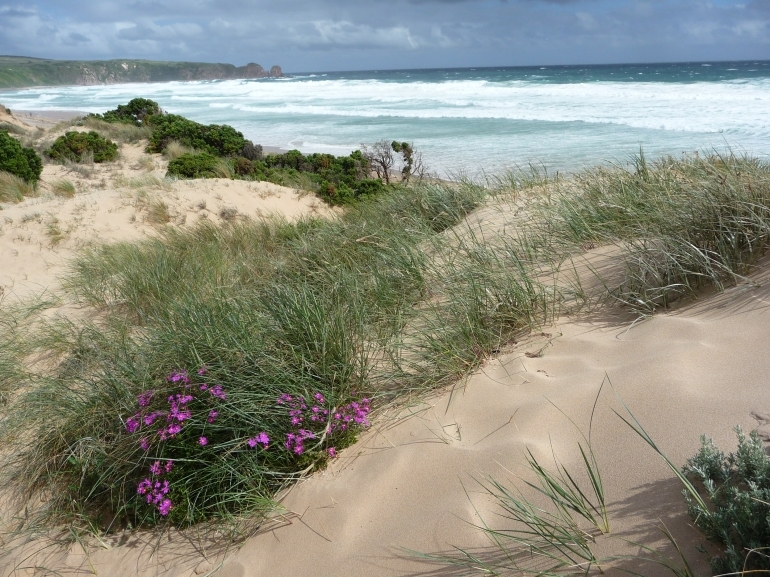 Philip Island Nature Parks is not a typo: there are several of them on this beautiful island. Aside from being a sanctuary for the delightful fairy penguins, you can also see koalas living in their natural habitat at the Koala Conservation Centre, stroll along the beautiful Knobbies Boardwalk and take in the view and view the offshore colony of fur seals. Yes, it will be a long day, but you won’t regret it. Lorne is a beautiful 85 mile trip down the Great Ocean Road from Melbourne. The Great Ocean Road has been cited as one of the world’s great touring roads and Lorne is generally agreed to be the most beautiful city on the Great Ocean Road. If you can only spare a day in Lorne, start by stretching your legs on the foreshore boardwalk, which takes you safely along the breathtaking cliffs. Then recharge your batteries with a gourmet meal at one of the great restaurants or cafes in town. After that, you may want to take a walk out on the pier or travel 6 miles inland to Erskine Falls, at the edge of the magnificent Otway Ranges. Bendigo is 93 miles from Melbourne and the drive is beautiful, but the best way to go to Bendigo is by train. There are frequent trains to Bendigo from Melbourne and not only will you be able to focus on the scenery rather than the road, when you step off the train at Bendigo station, you will instantly feel like you have traveled back in time to the Victorian era. Rather than replace the 19th century railway station, Victorian railway officials wisely decided to restore it. 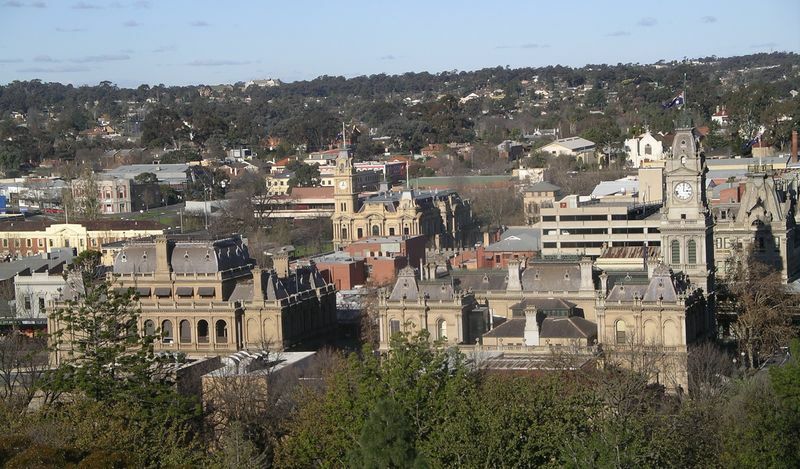 Originally a major gold rush town, Bendigo’s early prosperity resulted in some of the finest examples of 19th century Victorian architecture you will find anywhere in the world. The city has a gentile, refined feeling about it, but in true Aussie style, there is nothing snobbish about it. In the art galleries you will see stunning examples of contemporary and aboriginal art. In the restaurants, you will have the opportunity to enjoy local wines along with a gourmet meal. Also don’t miss the stunning Chinese Joss House, a timber and brick structure built by the Chinese miners in 1860. 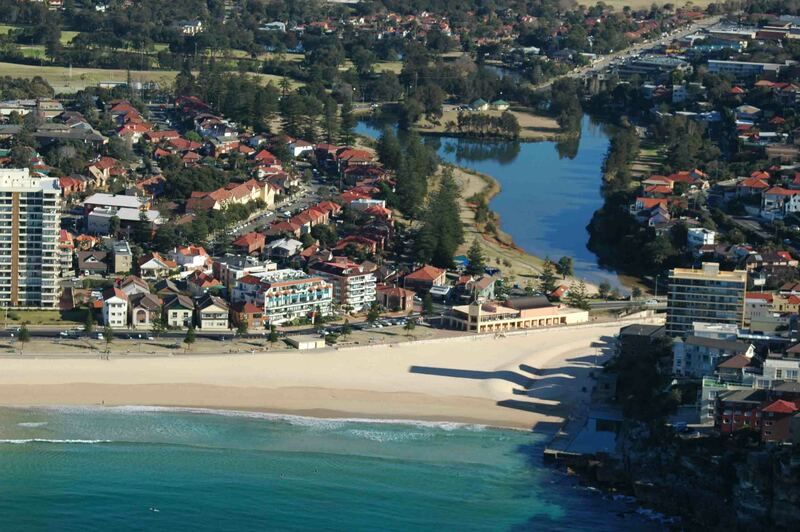 64 miles from downtown Melbourne, Queenscliff is another Victorian era town. Unlike Bendigo, which started out as a gold mining town, from the beginning, Queenscliff was a seaside retreat for Victorian era Melbournians. To this day, Queenscliff retains its Victorian charm and sophistication. It is home to a thriving artistic community and one of the most enjoyable things about a day trip to Queenscliff is wandering through the many galleries in the town. Part of the fun of getting to Queenscliff is getting there. If you take the Mornington Peninsula route, you will then travel a short distance by ferry across Port Phillip Bay to Queenscliff. When you step off the ferry, you will find yourself in a 19th century world with 21st century amenities and cuisine. 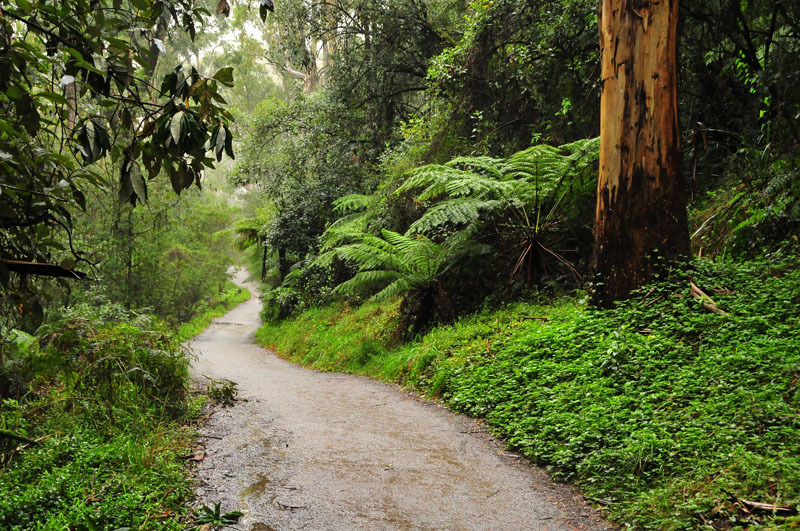 Just 25 miles or less from your central Melbourne, the Dandenongs are so quickly and easily reached by bus, train or tram, you should probably plan on taking two day trips instead of just one. The first day you will want to take the tram to Belgrave, where you will then hop aboard Puffing Billy, a fully restored 19th century narrow gauge steam train. While often touted as an attraction for children, everyone loves the train journey through the beautiful Dandenongs aboard Puffing Billy. Rob Schneider writes for ‘Book It Now’ about popular holiday destinations around Australia. 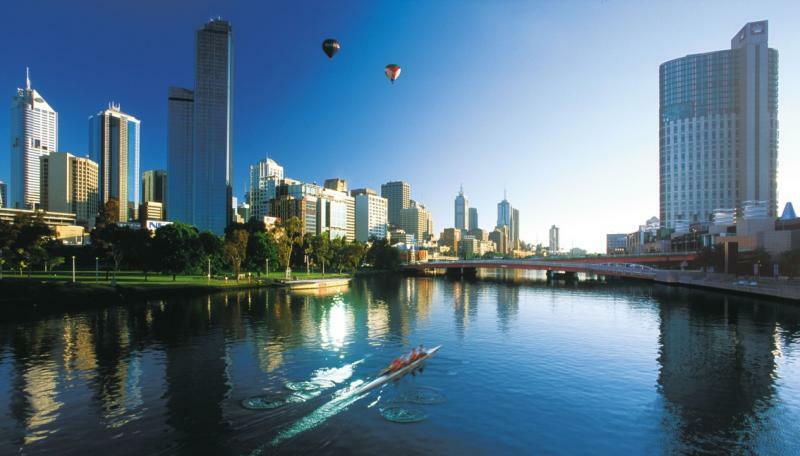 If planning a visit to Melbourne you will find a wide range of Melbourne accommodation and information about where to stay in Melbourne on ‘Book it Now’.